You probably don’t spend much time in your day thinking about slot canyons, but there’s a good chance that if you let your screensaver start, you’ll be looking at one. 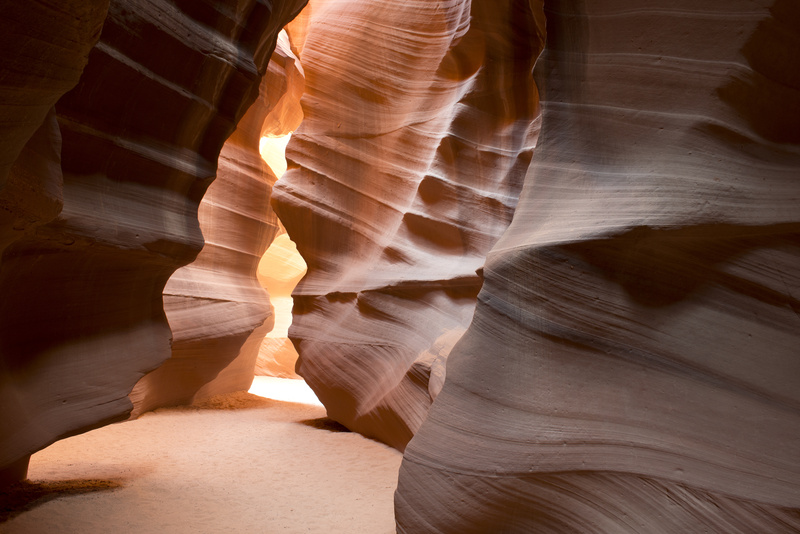 Slot canyons are amazing, natural, works of art, and one of the most photographed slot canyons in the world, Antelope Canyon, resides in the southwestern United States – just outside of Page, Arizona. My wife and I took a trip to the Grand Canyon several years back. We traveled north from Phoenix. We knew that we had to get our own personal picture inside Antelope Canyon. I can definitely say that the tour of the canyon was one of the most memorable moments of the trip. Slot canyons are formed when monsoon rains rush through the rock, forming and smoothing the stone, to give it that unique washed look. Flooding still occurs to this day, and every few years or so, the park is shut down. Courtesy of Tuxyso / Wikimedia Commons. When you start to navigate through the canyon it’ll feel similar to an underground cave viewing. 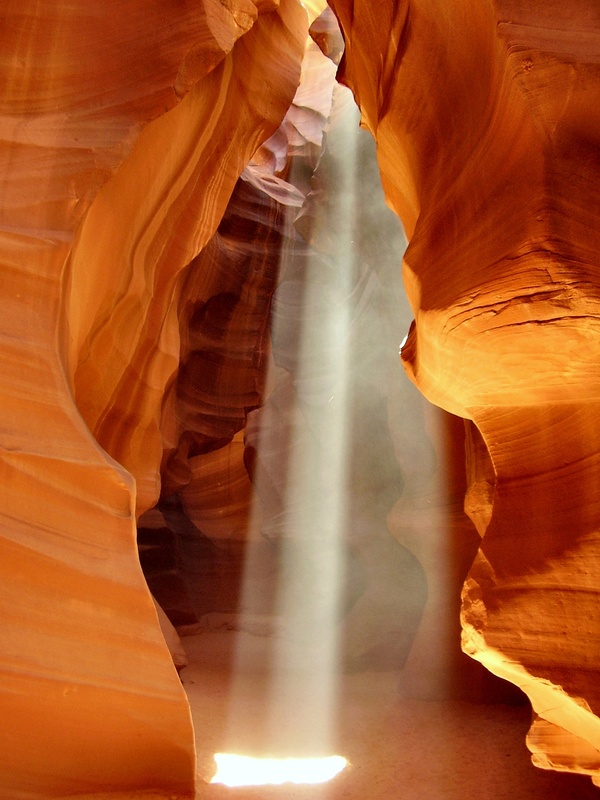 Space is tight and dark, but sunlight entering the canyon makes these magical shafts of light that look straight out of an Indiana Jones flick. It is important to do this trip in the Summer or Spring. That is when the sky is high in the sky, and will make sure you get the experience you’re looking for. 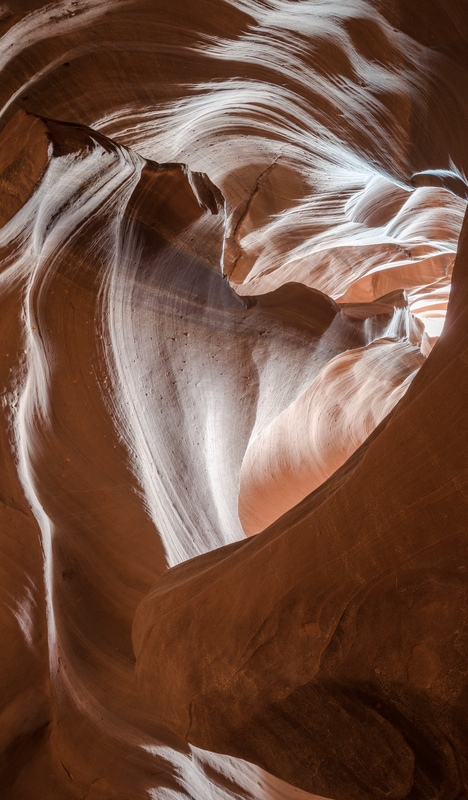 Upper Antelope Canyon is one of the most professionally photographed locations in the US, and don’t worry if you don’t know how to use your camera. After taking several shots that didn’t do it justice – due to the incredibly wide exposure range – our guide helped us with the settings and got us an amazing photo that resides on our livingroom wall. Couldn’t find the high res pic, but you get the point. There is a two hour limit in the canyon, so explore and get your shots. 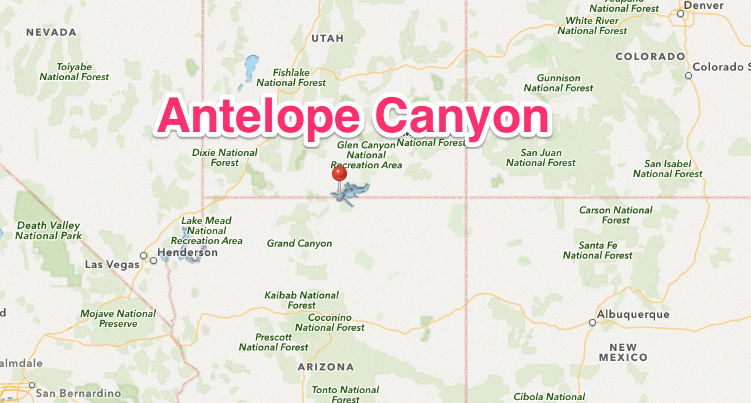 A tour through Antelope is about $25 for adults, ages 4 or younger are free. 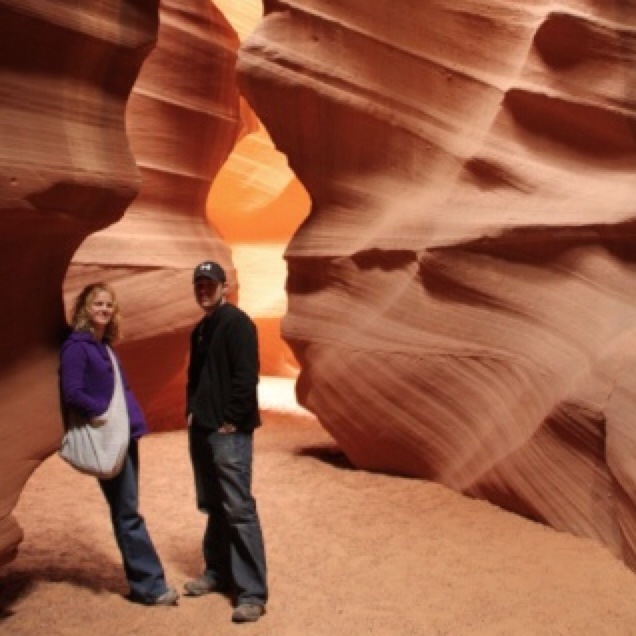 The price can go a little higher if you want to see Lower Antelope Canyon as well. Upper is the more popular one, but Lower Antelope now has an installed stairway to help with the once treacherous climb. There are professional photographer guided tours, with increased time limits, as well. Those go for about $80/person. For more information on a trip to Antelope Canyon visit Navajo Nation Parks and Recreation. Photos courtesy of Dollar Photo Club and Wikimedia Commons. What is AirBNB and is it the Future of Travel?